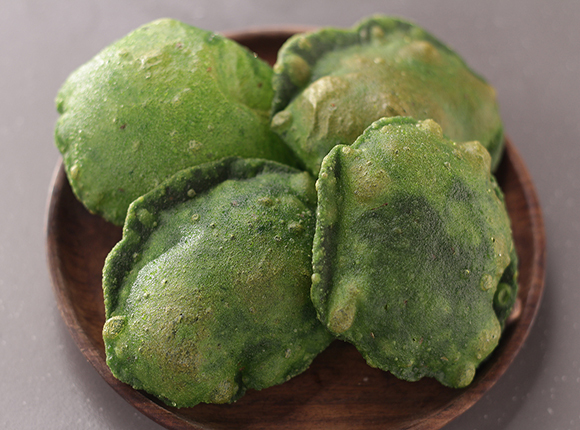 Mix together spinach puree, salt, carom seeds, wheat flour and 1 tablespoon oil in a bowl. Add sufficient water and knead into a semi-stiff dough. Rest the dough for 5-10 minutes. Divide the dough into equal balls, grease each ball with some oil and roll out into small discs or puris. Heat sufficient oil in a kadai. Deep-fry puris till golden brown and puffed up. Drain on absorbent paper.